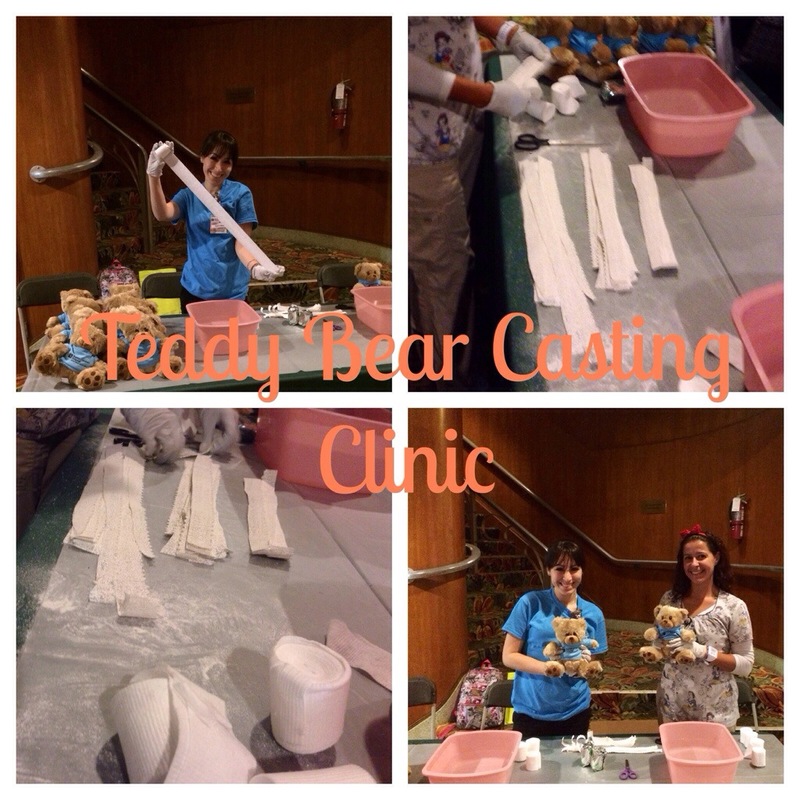 Today my fellow CCLS & I helped in hosting a teddy bear casting clinic outside of a local children’s theater. It was so much fun! The kids loved learning how to cast their bears & being able to feel the supplies used. We successfully casted tons of Teddy’s with broken arms and legs. Hey! Love your blog 🙂 Just curious what all materials went into this activity? Did you use casting tape or paper-mache? I was thinking for a teddy bear clinic that putting the cast on the child’s finger would work so that their stuffed animal wouldn’t get dirty. I’d love to hear your thoughts! Hi sandra, our orthopedic department actually donated casting supplies for us for this event.